One of my specialties is photographing the beauty of nature. I have always used my favorites soothing images of nature in my massage therapy office (my other occupation), and I never get tired of looking at the photographs that show movement–especially those of water flowing. 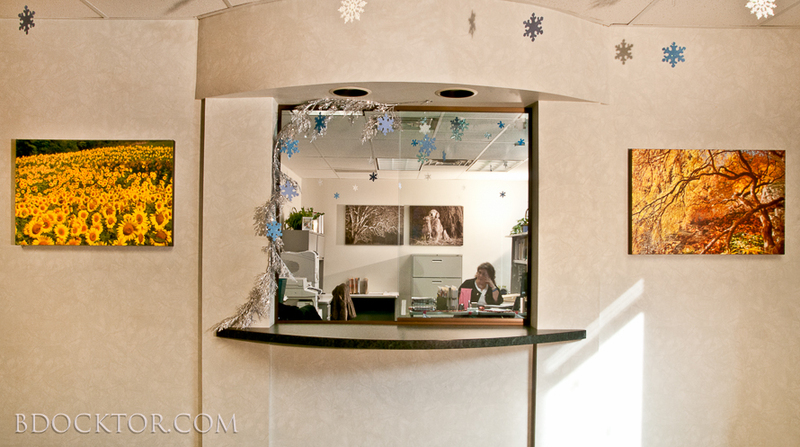 Images of flowers, water, animals, the beauty of the natural world make for perfect art for healthcare offices. People who are in waiting room environments in hospitals, doctor’s offices, rehab facilities–whether they be patients or loved ones of patients–they are stressed, and the soothing images of the real world outside can have a truly beneficial affect. 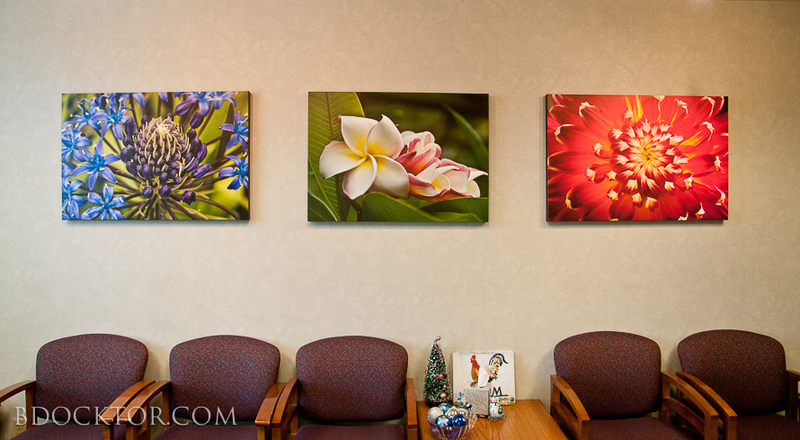 Stunning and fascinating close-ups of flowers enliven this doctor’s office waiting room. 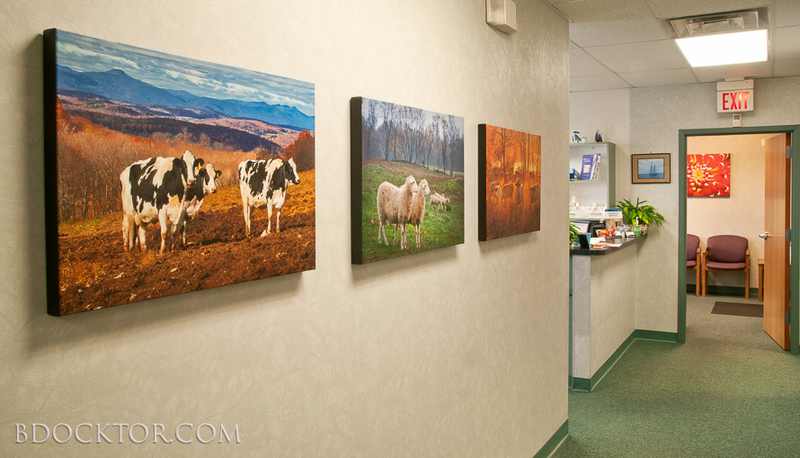 These images bring color and life into waiting areas of medical offices. That seems amazing, and yet it’s so obvious–we love looking at beauty, and we respond viscerally to it.